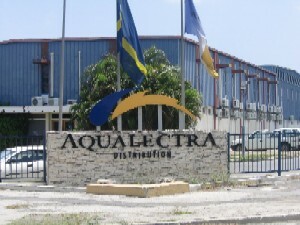 WILLEMSTAD - The unions and Aqualectra are still in a dead heat over the new collective agreement for the employees. Since early this year there was a collective agreement ‘free period’, which has already led to a lawsuit. Part of the judge's ruling was that both parties had to negotiate to reach a new collective agreement. In the middle of those negotiations the management of Aqualectra has now sent a letter stating that if the unions do not accept the proposal, Aqualectra will have to lay off personnel. The unions see this as a threat and do not accept it. Tonight unions will meet with the staff to take a stand. According to Aqualectra there is no room for improvements in a new collective agreement. The company’s finances do not permit this.